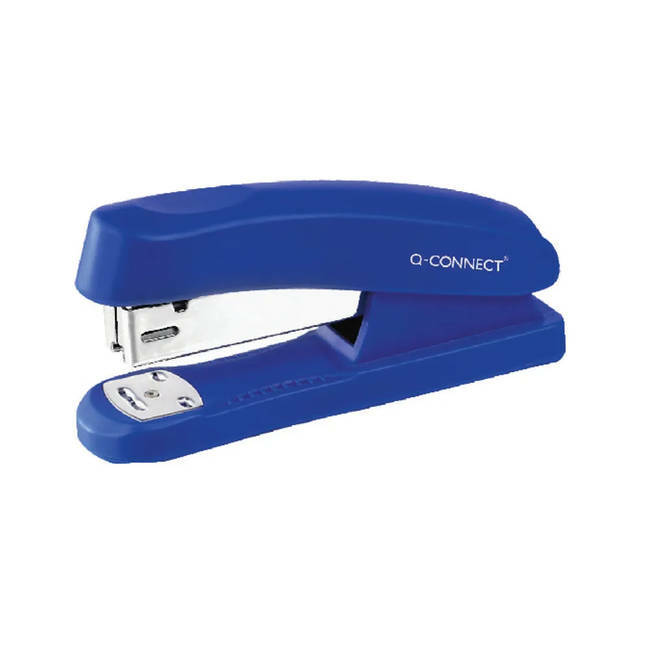 This half strip Q-Connect stapler features a tough metal chassis encased in durable plastic for general stapling tasks at home, school, or in the office. The stapler has a stapling capacity of up to 20 sheets of 80gsm paper and uses standard 26/6mm and 24/6mm staples. This blue stapler also features a simple top loading mechanism.